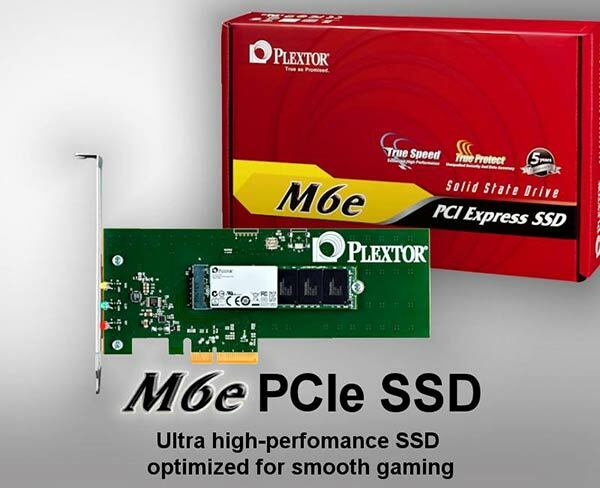 Plextor has announced a plethora of solid state drive solutions at the CES this year. This multi-format lineup comes together to form the M6 range of SSDs. Plextor have new M6 drives in the 2.5-inch, mSATA and PCIe form factors. All the drives also feature the latest 19nm Toggle NAND flash from Toshiba and Plextor's own 'Adaptive Write' performance firmware. The three ranges are available in capacities up to and including 512GB. "We are excited to announce the new M6 series, Plextor’s new generation of consumer solid-state storage products. 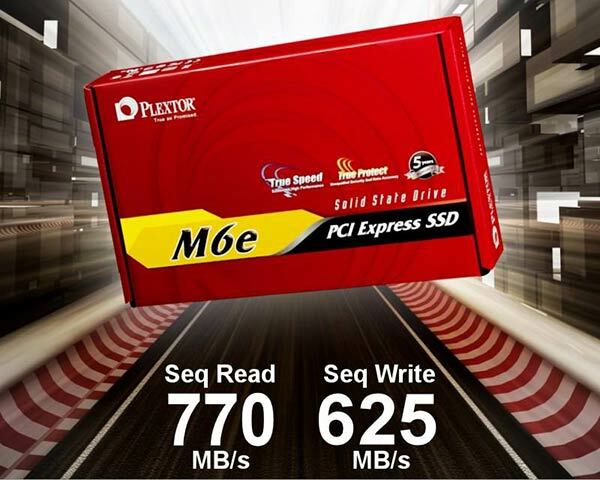 With the addition of the M6e M.2 PCIe and SATA drives to the M6 family, Plextor now offers one of the broadest and highest-performing portfolios in the consumer space," said Darlo Perez, Director of Plextor Americas. "Plextor’s latest lineup highlights our commitment to providing top-shelf quality and performance in the solid-state drive market." These drives bypass the SATAIII bottleneck by using the PCIe Gen2x2 interface. Choose one of these storage solutions "for Gaming, Compatibility, Reliability, and Ultra-High Performance," recommends Plextor. The M6e PCI Express SSDs support driver-free ACHI and both legacy BIOS and fast UEFI booting. Thanks to their "server-grade" multicore Marvell 88SS9183 controller and fast Toshiba NAND you get achieve sequential read/write speeds of 770/625 MB/s and random read/write speeds of 105K/100K IOPS with these drives. Zhang Yaping, M6e product manager talked about these drives and their sutability for gaming; "Modern games push systems to their limits; by getting data from storage to the graphics card and into RAM fast, even under heavy load, the M6e makes the gameplay experience smoother and better. We’ve also optimized the M6e to perform smoothly with a large variety of games so it’s suitable for use by all types of players." The M6e drives will be available in 128, 256 and 512GB capacities and offer warranties of five years. Plextor call these drives the "ultimate Ultrabook upgrade". These drives feature the same controller and NAND as the PCIe cards within their small footprint. In performance terms these drives offer sequential read/write speeds of 520MB and 440MB per second, and random read/write speeds of 94,000 and 80,000 IOPS, respectively. These are Plextor's latest offerings in the more traditional 2.5-inch form factor and provide users with the same performance as the mSATA versions detailed above. Again the capacities on offer are 128, 256 and 512GB. Also again we have Plextor's 'Adaptive Write' tech which helps the drives maintain their performance under heavy workloads. The M6 series of drives are scheduled for retail availability from Spring 2014. HEXUS reviewed two form factors from the previous 'M5' generation of SSDs from Plextor and both were award winners. With cheaper NAND I suspect,but not a cheaper price.